Home / Blog / Interview with Seljak Brand, makers of beautiful recycled goods. Interview with Seljak Brand, makers of beautiful recycled goods. 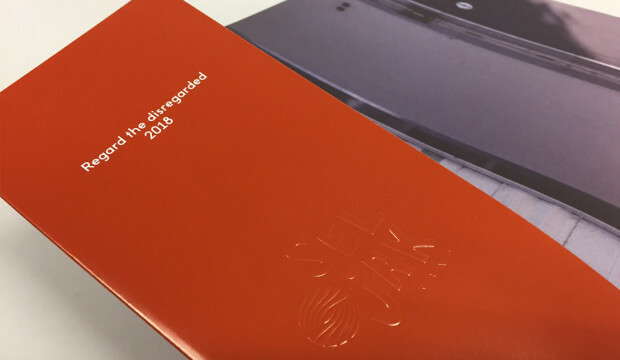 We recently collaborated with Seljak Brand to bring their story to life in print. 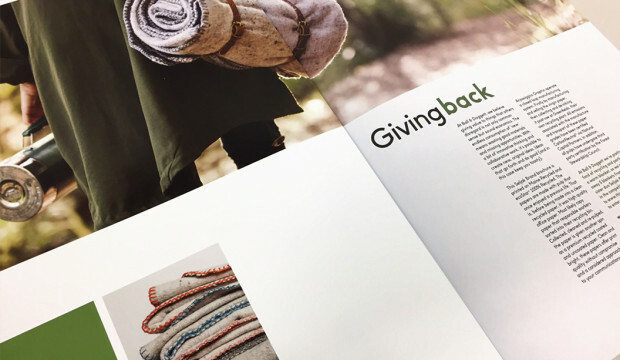 Featuring Maine Recycled and ecoStar+ 100% Recycled, the large format print piece captures the story of their beautiful recycled wool blankets. 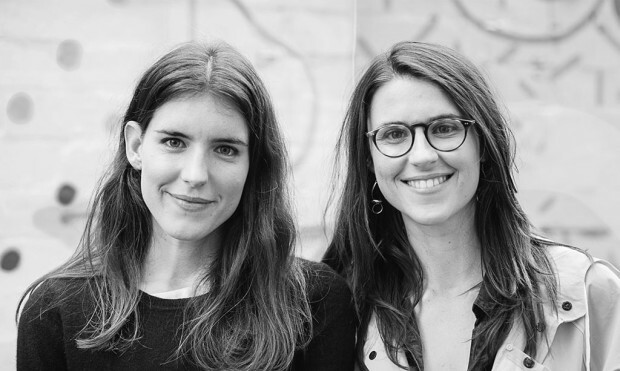 We sat down with Sam, one half of the amazing sister duo (the other half is Karina), to discover more about what had them start their inspiring brand, the concept of the circular economy and some very interesting insights into the world of waste. Download the interview here. Sam and Karina Seljak imagine a world without waste, continuously finding new ways to make beautiful things that are regenerative by design. They launched their brand in March 2016 and have since worked towards accelerating the transition towards a more circular economy and closed loop methodologies. Their closed loop blankets (which we’re running a comp around at the moment! Refer to the end of this article), are made from 70% recycled Australian merino wool and a 30% blend of polyester and recycled alpaca, mohair and cotton – cosy enough for indoors and durable enough for outdoors. 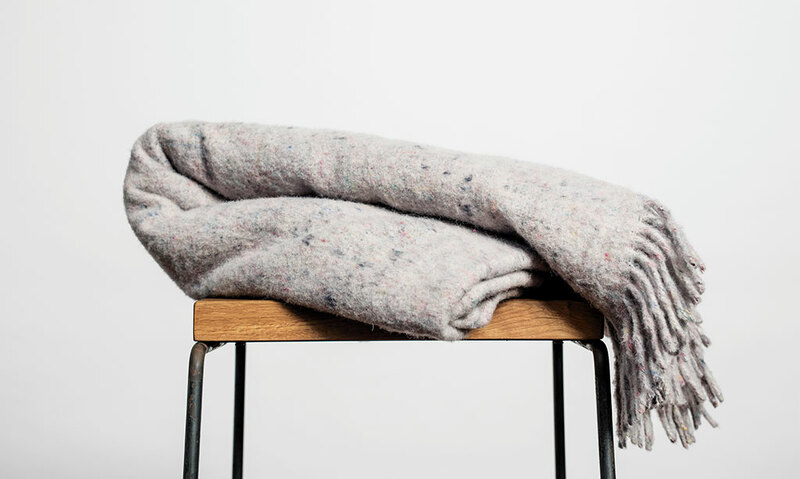 The blankets are made with offcuts from the factory floor of the oldest weaving mill in Australia, which happens to be a wool mill in Tasmania. B&D: What did you discover researching the circular economy? And for those that don’t know, what is it? Sam Seljak: The circular economy is a movement that rejects the current linear take/make/waste model that the world is using today to make and build things. Instead, it focuses on a closed loop circular model that cycles resources again and again. This avoids discarding resources in landfill and the mining of virgin resources for making products. So in the circular economy, existing resources like recycled materials are used to create and make products. Then there is an end of life solution so that the product doesn’t get discarded but instead gets held to its highest value at all times and used in a closed loop. B&D: Did you find there are a lot of products that use this system? Sam Seljak: It is a pretty tricky system to achieve when it comes to making products and things like clothes, buildings, in fact most of the things that our society uses. There are lots of people and businesses that are trying to implement the circular economy but having a truly closed loop model is quite rare. 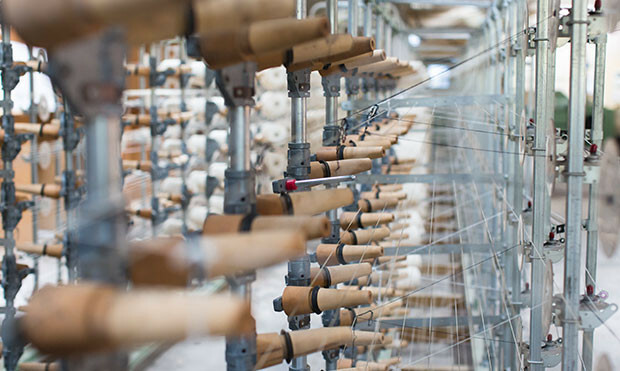 We’ve found that there are lots of small start-ups managing to create a fully circular program or production cycle, but when it comes to larger scale it can become quite difficult. There are circular economy thought leaders, for example William McDonough and Michael Braungart who created ‘cradle-to-cradle’, who’ve implemented certifications for use in the building industry and for larger impact products as well as smaller ones. So there is an uptake in many industries around the world but true circularity is still very hard to achieve and many are still working towards it. 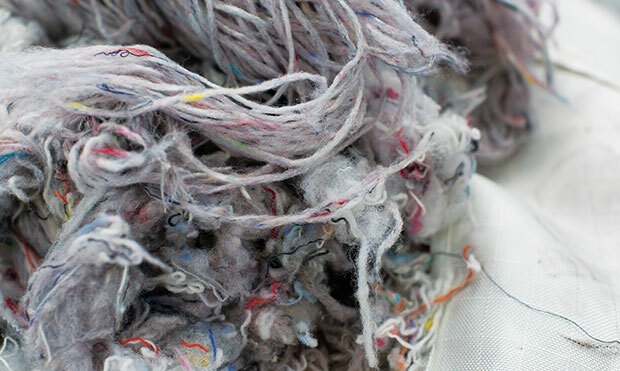 B&D: Why is recycling textile waste so important to you both? Sam Seljak: Textiles waste is something that the world has in abundance. People’s behaviour today is very consumeristic and statistics show that people are buying more clothes than ever before. And of course this means they can’t all be worn so the old clothes and production waste of these new clothes needs to go somewhere. When this textiles waste is in landfill it releases harmful methane gases into the atmosphere and ultimately degrades ecosystems and perpetuates climate change. So it’s not only a waste resource that is in abundance, it’s also something that is incredibly damaging to the environment. So from both of these perspectives we felt there is a need to use this as the precious resource that it is rather than let it be discarded as waste. B&D: Do you think the attitude to recycling is different in Australia to other countries? Sam Seljak: I think Australia as a population is pretty aware of recycling. Recently, shows like ‘War on Waste’ has been monumental in helping that. We’ve also seen companies like Keep Cup now become a household name. Of course there are still statistics that show that Australians throw away millions of single-use coffee cups every day. But then in comparison – I’ve been based in Scandinavia for the last two years – in other countries, the government takes a huge responsibility for recycling. In my apartment block in Sweden there are around 10 different recycling bins…one for batteries, clear glass, coloured glass, paper, for cardboard, soft plastics, hard plastics, aluminium, the list goes on. And thus exists a mindset in Scandinavia that the government will take care of it so it becomes less of a people’s problem. You don’t see a wide-spread uptake of KeepCups, for example. Whereas in Australia I feel like it’s the opposite. The people are recognising it needs to change and therefore are acting. And these movements, and shows like ‘War on Waste’, will hopefully impact legislation. B&D: We see on your website that for every 10 blankets sold, Seljak Brand donates one to the Asylum Seeker Resource Centre in Victoria. Why did you choose this organisation? Sam Seljak: Seljak, our surname, is a Slovenian name. Our grandparents where refugees to Canada in World War II (we have a Canadian father and Australian mother) from Slovenia. We saw our grandparents had flourished in a country where they arrived without speaking the language or understanding the culture and yet contributed so much to the society over the decades. So we’ve both felt quite strongly about Australia enabling opportunities for people in less fortunate situations. And ultimately it’s about accessing basic human rights; a safe place to live. If you can’t live safely or you can’t secure your safety where you are, then we think you should be able to seek that somewhere else. We think the ASRC is an organisation that does a wonderful job of supporting and welcoming asylum seekers to Australia. They rely on the generosity of people around Australia. It’s the least we can do to support their cause and we’d love to do more in the long run. B&D: Your latest project with Citizen Wolf, tell us a little more about that. Sam Seljak: Last year we crowdfunded some research and development money to find a solution for businesses that were coming to us with their textiles waste. 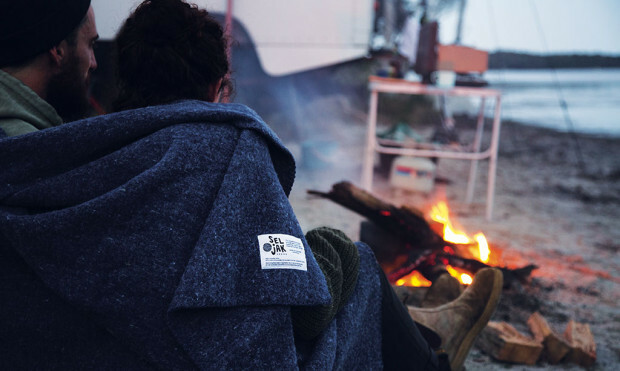 We had already set-up Seljak Brand and had already used offcuts from the Tasmanian mill to create the blankets, which is an age old technique used by mills. As word spread, other companies were coming to us with their textiles waste and we needed some time and resources to put into testing solutions for other companies’ waste. Citizen Wolf was one of the companies and we’re working with the offcuts of their custom t-shirt production. They have a very sustainable business model already – made-to-order and custom fit so they have minimal waste anyway. The scraps they do have we shredded and spun into a light weight yarn that we’ll then weave into a lighter weight summer time blanket. Of course, our beautiful cosy blankets are great for the Australian winter, but come summer, people might want something less warm! We’re hoping to launch that in October. B&D: Any other innovative projects in the pipeline for Seljak brand? Sam Seljak: We just got accepted into the Kick Starter program which is funded by Macquarie Group and run by SEFA partnerships. Basically, it’s an accelerator for social enterprises to grow their impact. So we’ll have access to mentors and support to become investor ready if we want to go down that path. We’d love to be able to introduce another waste-to-resource product in 2019, whether that’s something that focuses on recycled textiles in the way we have been using them now or in a completely different way. • Diverted 2,000kg of textiles waste from landfill. • Donated 114 blankets to the Asylum Seeker Resource Centre in Melbourne. • Exposed over 500,000 Australians to closed loop business practices thanks to the press they’ve received. 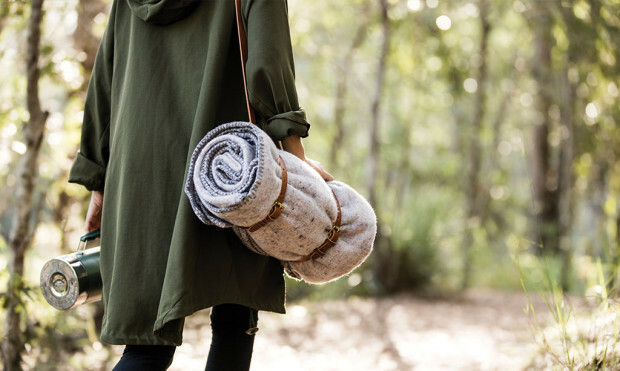 • They’ve crowdfunded $32,000 to help fund the research and development of using other businesses’ textile waste to make more blankets (check out their progress here with local Sydney label Citizen Wolf’s offcuts). It’s a great time to be a Seljak sister that’s for sure! 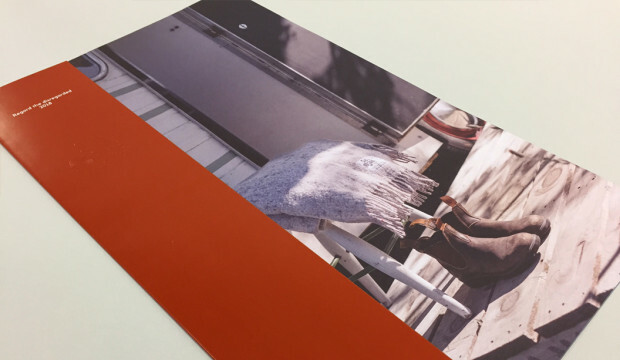 If you’re one of our customers, your rep will be around soon with a copy of the Seljak Brand print piece, featuring Maine Recycled and ecoStar+ Recycled. We’re pretty fond of recycled products around here which is why we love the Seljak Brand ethos, their products and why the recent collaboration was a no brainer for us. 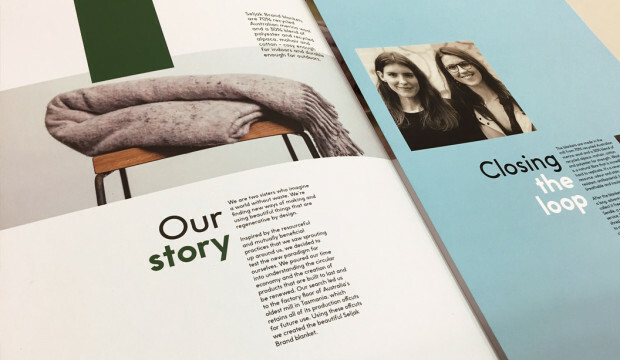 To share our love of recycled goods, you can win one of their cosy blankets! We have five to giveaway. Visit www.thinkrecycled.com.au and in 25 words or less, tell us your recycled story. If you’re into recycled things like we are, visit thinkrecycled.com.au and use the environmental calculator. Enter the details into the eco calculator and display results on your next print job or client meeting. 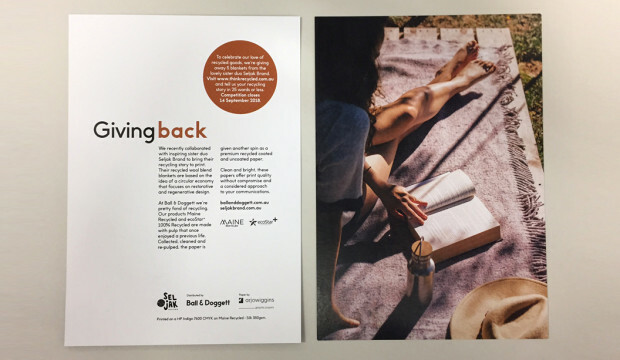 The calculator makes it easy for you to illustrate the contribution you can make to the environment when using some of the recycled papers in the Ball & Doggett range.